the recently established community of Munich Air Traffic Controllers, who share the common passion for motor biking.  We regard ourselfs as a branch of our Italian friends from Padova, who founded RadaRideR.it in 2005. Check out our upcoming events or the pictures of our latest rides!